Welcome to The Sega Notebook. Find hints and tips for your favorite Sega Master System games! The Sega Notebook is a compilation of instruction manuals, strategies, tips and cheats for Master System games. 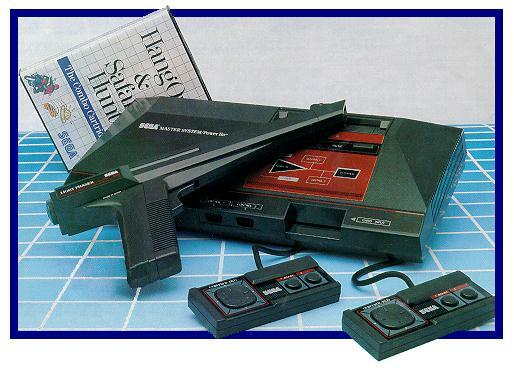 Most of the information contained in this site comes from our experience playing the Sega Master System. Therefore, most of the information has been personally verified by us. A small amount that comes from old gaming magazines which we have not verified is explicitly labeled unconfirmed in each instance. We have had a lot of fun playing the Sega Master System. We hope that, in some way, this site helps other SMS players enjoy the Sega Master System as much as we do. This site focuses on games. Our goal is to provide an archive of useful information, where SMS gamers can find instructions or gameplay hints for a variety of games. We believe that a web-site should be unique, and offer something original to the reader. You will not find reformatted reproductions of other web sites here. Although some of the information can likely be found elsewhere, we have tried to provide detailed explanations that are clear and concise. If you find anything on the site to be vague, ambiguous or inaccurate, please let us know. Every graphic on this site is original to The Sega Notebook--scanned, drawn or dumped by the authors. We also feel it is important to preserve the character and authenticity of the original information. Therefore, all text taken from the games is reproduced exactly as it appears in the game, with minimal editing (limited mostly to the display constraints of HTML, CSS, and the different browsers). Spelling and grammatical errors are reproduced as in the original game text or instructions. If you are sure we have made a mistake, please inform us. This is a list of changes to the content of The Sega Notebook. Included on the list are newly-added notes pages and instructions, or new graphics or hints for existing pages. Not included are minor formatting changes, or coding changes for cross-browser compatibility. Please see What's New on The Sega Notebook.